A compulsive buying disorder, known to most as a shopping addiction, is a term that describes an obsession to shop. It is characterized by a preoccupation with shopping and excessive buying behavior that leads to impairment or distress. When present, treatment at a shopping rehab and recovery center may be necessary to help the addict resolve the problem and return to a desired level of functioning. Currently, some organizations like the American Psychiatric Association do not recognize compulsive buying disorder. 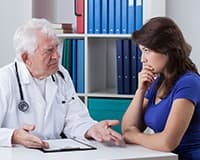 Variations of the disorder existed in previous versions of their Diagnostic and Statistical Manual of Mental Disorders, but the newest edition called the DSM-5 excludes it. Unfortunately, the lack of inclusions leads to little understanding regarding the disorder. Reports claim the condition affects approximately 5.8 percent of Americans with compulsive buying disorder, and it is prevalent in many other countries as well. Compulsive buying, especially when items are not needed. Feelings of euphoria while spending money. Feelings of guilt, shame or embarrassment after shopping. Consistently spending over your budget. Attempting to hide the problem (hiding purchases, destroying credit card bills, etc.). Frequent lying or intentional manipulation of loved ones to continue shopping. Continuing to shop despite the consequences. Shopping to alleviate negative emotions, such as anger, sadness or depression. Exhibiting withdrawal symptoms of discomfort, sadness, and anxiety when credit cards or other sources of money are taken away. Preoccupation with money, store sales and making purchases. When identifying the symptoms, it is equally important to note any other conditions that could present as compulsive buying disorder. According to an article in World Psychiatry, a shopping addiction often co-occurs with other disorders, such as substance abuse, impulse control disorders, mood disorders and eating disorders. For example, people experiencing mania associated with bipolar disorder will often spend money recklessly, but their spending will only occur during these episodes. Additionally, someone abusing a stimulant drug like cocaine may spend wildly while under the influence of the substance. Because of these similarities, one must look at their complete symptoms in order to seek out the most helpful treatment for their situation. The condition can affect men and women, but the majority of reported addicts are female. People with shopping addiction may feel they are able to overcome the problem on their own. However, addiction treatment programs can help participants address the root causes of their addiction and assist them with developing strategies that will help them end the problem for longer durations. While patients can be treated on an outpatient basis, inpatient treatment programs may be more effective because they require patients to live at the facility for the duration of their treatment, giving them little or no time to go shopping and limited access to money. Also, these programs can help to monitor and treat other symptoms associated with spending. Cost of treatment or rehab. Does the facility accept your insurance? Is the facility co-ed or single gender? Does the center cater to a specific age group? Does the facility offer extended care? Does the facility treat multiple addictions? Does the facility treat co-occurring mental or behavioral disorders? Are my relatives and friends allowed to visit? Take time to consider your individual needs. For example, rehab stays of 90 days usually yield the best chances of sustained recovery. The longer a person stay in rehab, the less likely they are to relapse. However, not everyone has the means or ability to remain at an inpatient facility for long periods of time. Taking the treatment program length into consideration can help narrow your choices. Remember treatment is always voluntary, but following staff recommendations may boost long-term success. The first step you should take in your search for a high-quality shopping recovery facility is to obtain recommendations from trusted sources. Start by asking friends, family members, mental health professionals and healthcare providers for referrals. Another good option is to call our national hotline at 1-888-319-2606 Who Answers? and talk to our caring representatives. With access to thousands of inpatient rehab programs, we can assist you with finding the right addiction recovery program that best fits your needs. Next, research the facility to ensure it is a reputable one. Call the appropriate licensing agencies to ensure the facility and doctors on staff are licensed and that they do not have any disciplinary actions or lawsuits pending against them. Search the Internet for patient reviews to see what past and current residents have to say about the facility while keeping in mind that some reviews may be unfairly biased on unique experiences. It may be helpful for you to take a tour of the facility and talk to the staff. This will allow you to make your own determinations firsthand. You will be spending a significant amount of time at the rehab center, and you want to make sure you will be comfortable there. Ask doctors about their education and experience with treating patients with a compulsive buying disorder since levels of expertise will vary. Their answers can assist you in determining if they have the knowledge and skills needed to help with your addiction. Sometimes choosing a shopping recovery program can feel overwhelming, so don’t be afraid to admit there is a problem and ask for help. Talk to your loved ones, and ask them to help you pick a recovery facility. Our counselors can also answer questions about shopping recovery centers. Start on the road to recovery by giving us a call today at.